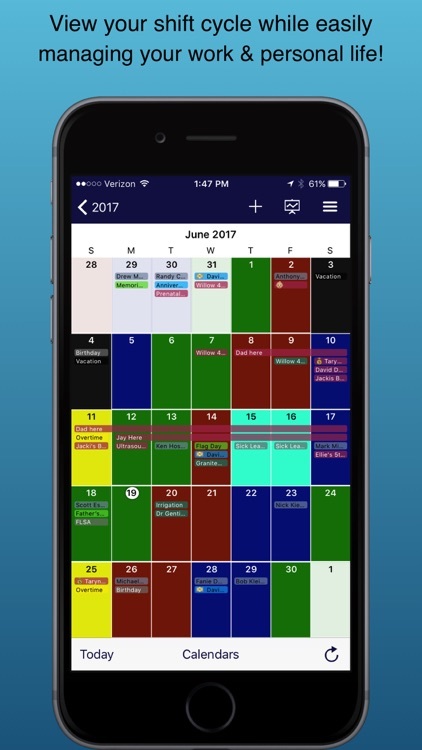 The ORIGINAL shift calendar app, simplifying and supporting your work/life balance for over 10 years! Spark by Leaky Nozzle is loaded with fully customizable and user-friendly features and functions utilized everyday by Fire, Police, EMS, Hospital and all types of shift workers across the world. Spark allows you to organize your work and personal life within just ONE app. Our unique "Cloud Connect" system allows you to manage and share your calendar across all platforms, keeping you and your loved ones consistently up to date, anytime, anyplace, anywhere! Why Spark? Here is why all of your co-workers are using Spark! 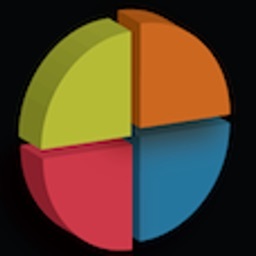 - Our app is FULLY CUSTOMIZABLE! 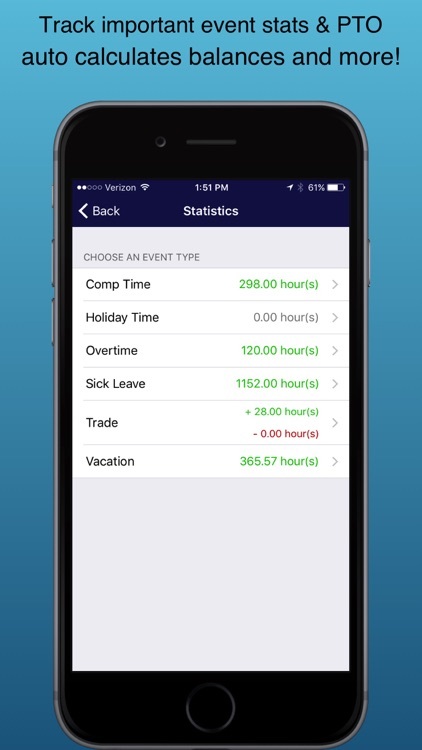 Spark will track and log anything you need or use day to day, such as vacation, sick time, comp time, overtime, education, trades and so much more. Did we forget to include an item that's important for you to track? NO PROBLEM! We have made it easy for you to add this stat into your personal app. Spark is designed to have all the tools you need to manage your work and personal life, laid out in a sleek and simple-to-use interface that allows you to easily customize it's features to YOU! - Your valuable information is SAFE & SECURE! We know how important your information is to you and Spark wants to put your mind at ease. 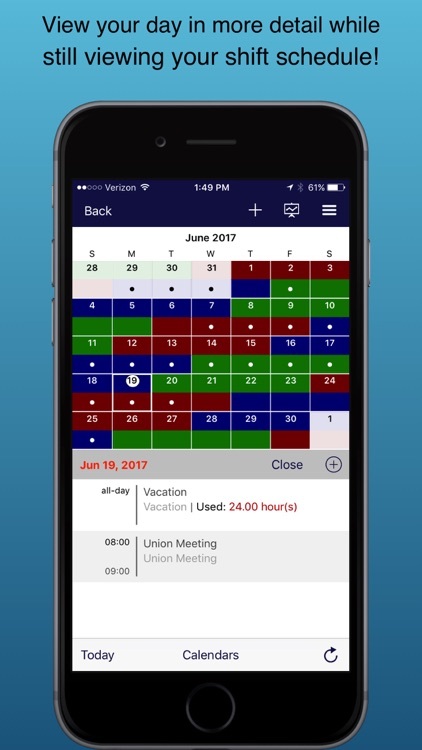 Spark's unique "Cloud Connect" software allows your shift calendar to sync across multiple devices making it a breeze to update your daily schedule from wherever you are. 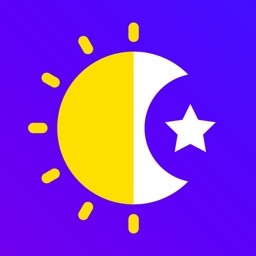 Cloud Connect also ties all of your encrypted calendar data to your email, so that if you lose, damage, or upgrade your device, Spark makes it as simple as logging back in to the app and your calendar and data are there like you never left it! 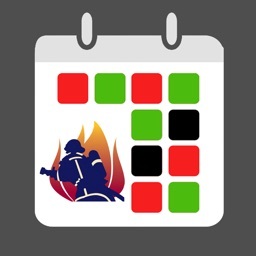 - Spark supports thousands of different shift work calendars used across the world. Simply install and open Spark, select one of the pre-loaded department calendars and you're on your way to simplifying your life. Don't see your department? No worries! Spark allows you to create and save your department’s schedule, making it easy for your fellow co-workers to install and set up Spark (and they will thank you!). - Do you Trade, Swap or do AWRs? 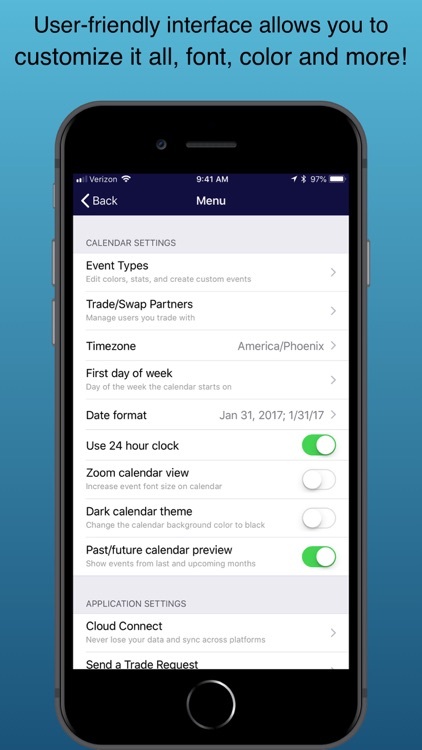 Spark allows you to track shift trades and manage all of the time you owe or are owed, broken down by each individual person. Looking to find a trade? With Spark’s new “Trade Board,” you can send a trade request to someone within your department right within our app and get an answer immediately! Once the trade is accepted or denied, it will reflect on your calendar and in your stats - one less step for you! - Did we mention Spark is FULLY CUSTOMIZABLE? (Okay, okay, we did. But it REALLY is!) Whether it is the color of your shifts, the color of an event, or setting statistics for specific events, we have you covered. 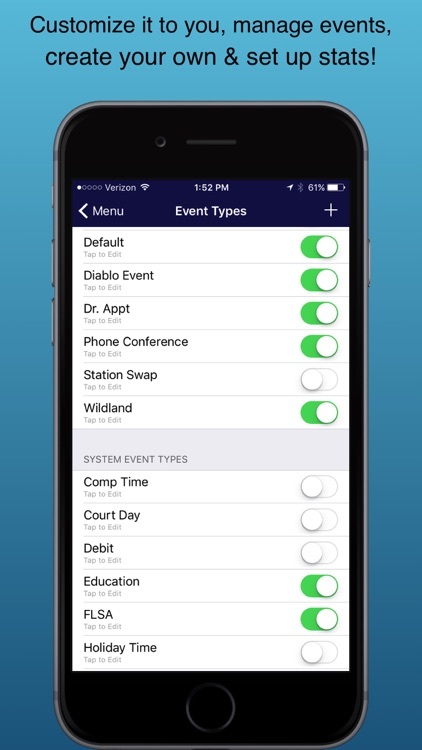 Spark allows you to add custom events and set up custom stats and colors for any event. 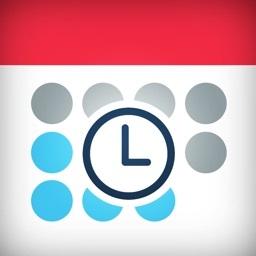 Spark allows you to glance at your calendar and know EXACTLY what is planned for the day (week! month!) 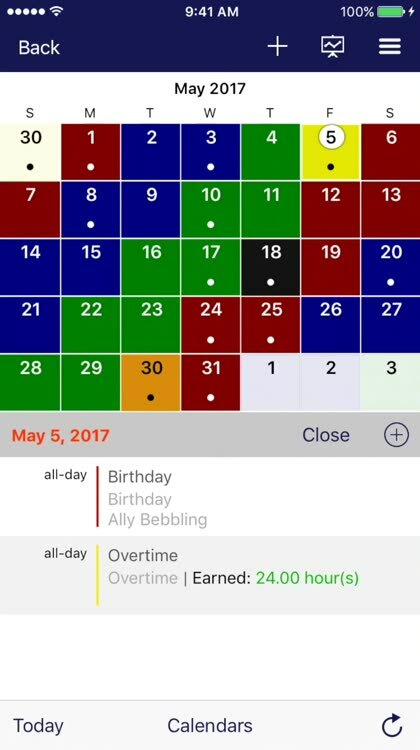 without spending time tapping each day to see what you have scheduled. - OUR CUSTOMER SERVICE IS UNMATCHED! Spark was made possible by you, the user, and we haven't forgotten that. 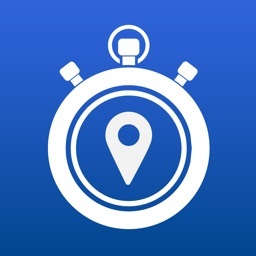 You won’t find another scheduling app that gives you a speedy response to your question or concern like we do. Each email that is received is typically responded to AND resolved in less than two hours! 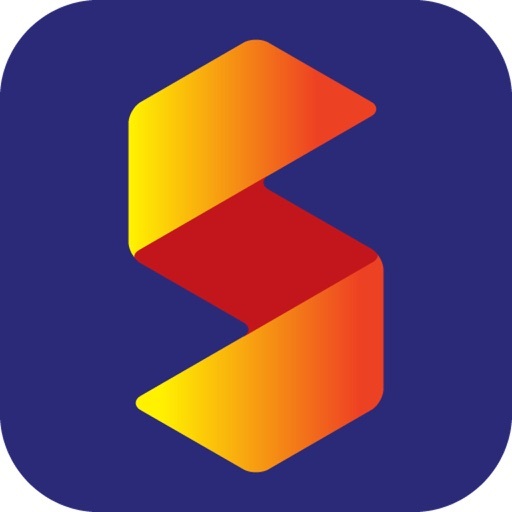 Spark is designed and improved upon off of our users’ input and we truly believe that our customers are the reason why Spark is such a an excellent app today. Spark will continue to be updated from the the input of what our shift workers want and need! - Spark offers so much more, so please install our application today and check it out for yourself! Your first 30 days are on us! We truly believe this will be the last install you make for a shift calendar app. Please visit our website at www.LeakyNozzle.com to learn more about Spark!